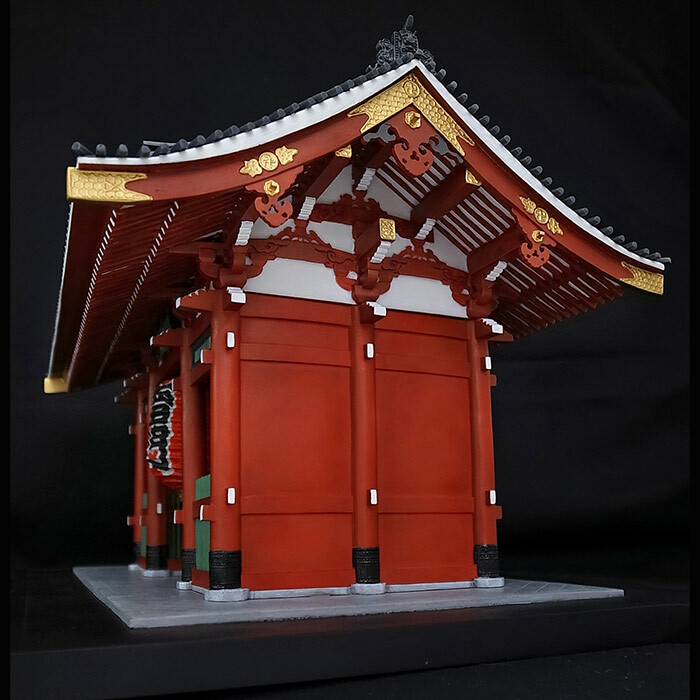 Home > Japan Modern Art > Japan Modern Art- Kaminari-mon Gate*extra 37,000 points back purchased until January 15th!! 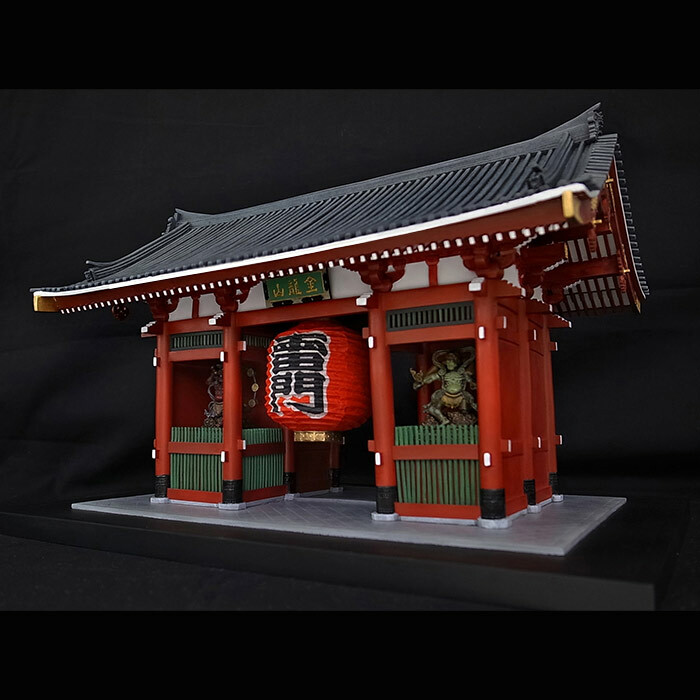 Japan Modern Art- Kaminari-mon Gate*extra 37,000 points back purchased until January 15th!! Extra 37,000 points added to regular points now! Hurry up! *Limited Manufacture to 30 pcs only. *We do not accept cancellations. If an order is cancelled, the paid amount will not be refunded under any circumstances. Please consider carefully before purchasing. 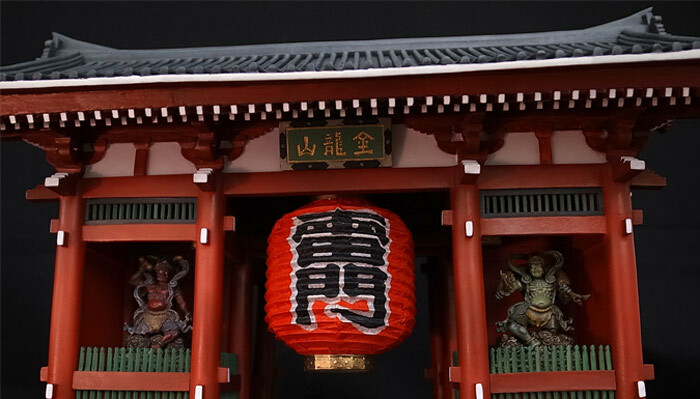 The Kaminari-mon Gate ("thunder gate"), standing at the entrance to the professional and road leading to Senso-ji, is Asakusa's most famous landmark. 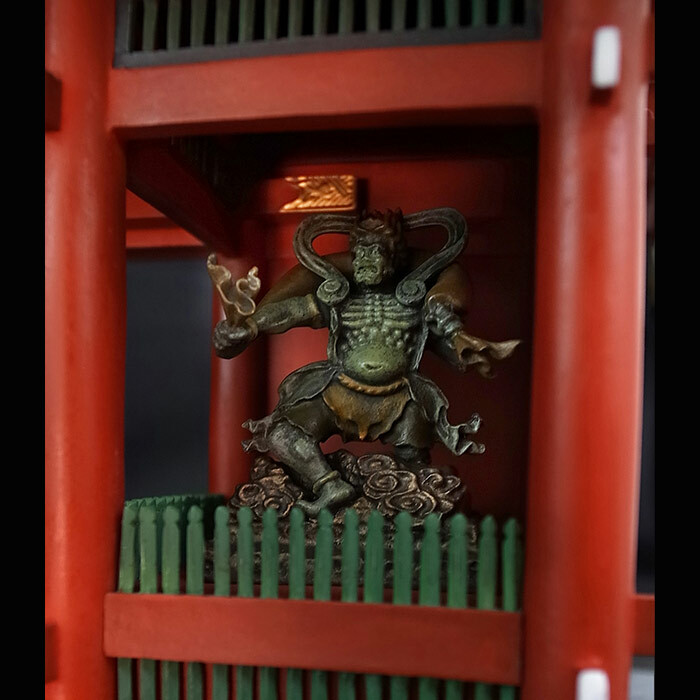 Inside the gate either side are enormous wooden statues of the protective Buddhist deities Fujin(wind god) and Raijin (thunder god), from which the gate gets its name. The original gate was erected in 942 but burned down several times over the centuries. 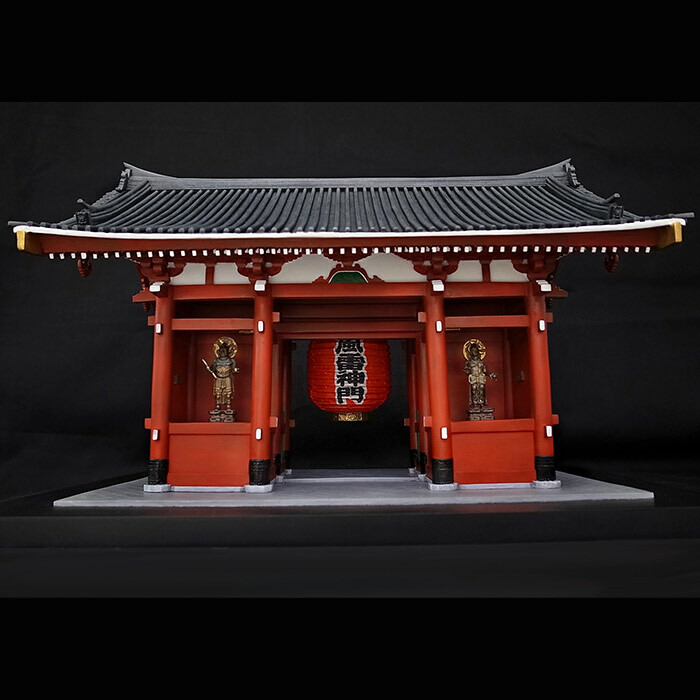 This is made with the image of the "Thunder Gate" of "Asakusa, Japan", which was built in 1960, donated by Japanese entrepreneur, Konoshuke Matushita (1984-1989). Born in 1962. 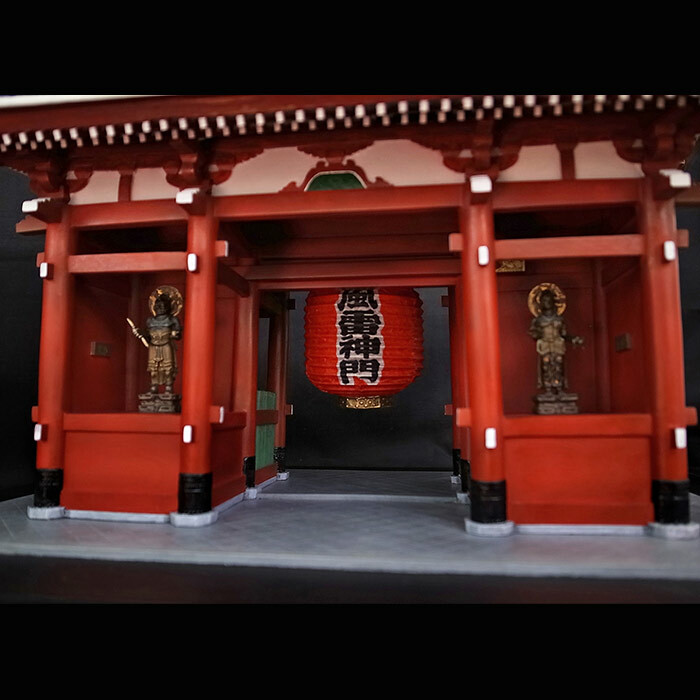 In 1997, Unnnou Souhaku established a group of professionals engaged in developing three dimensional models. 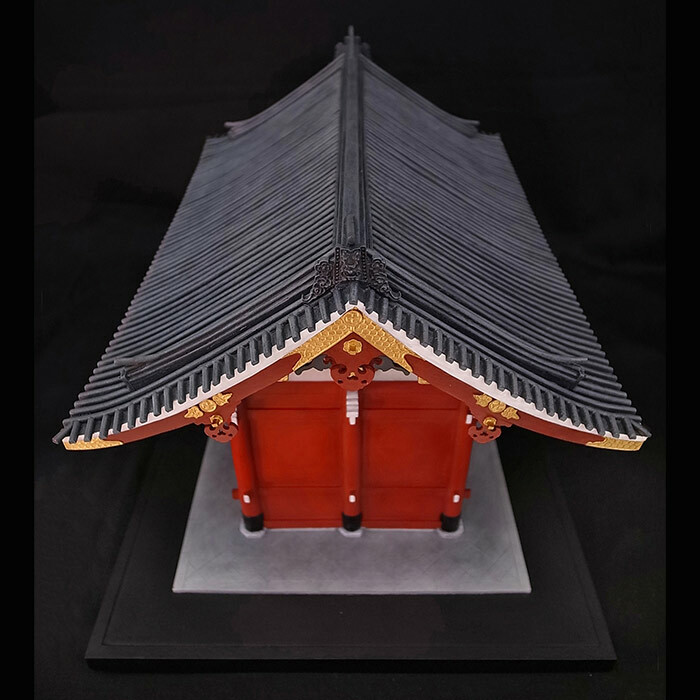 The group has received especially high accolades for its authentic reproduction of Sengoku Period statues based on historical documents from the time. 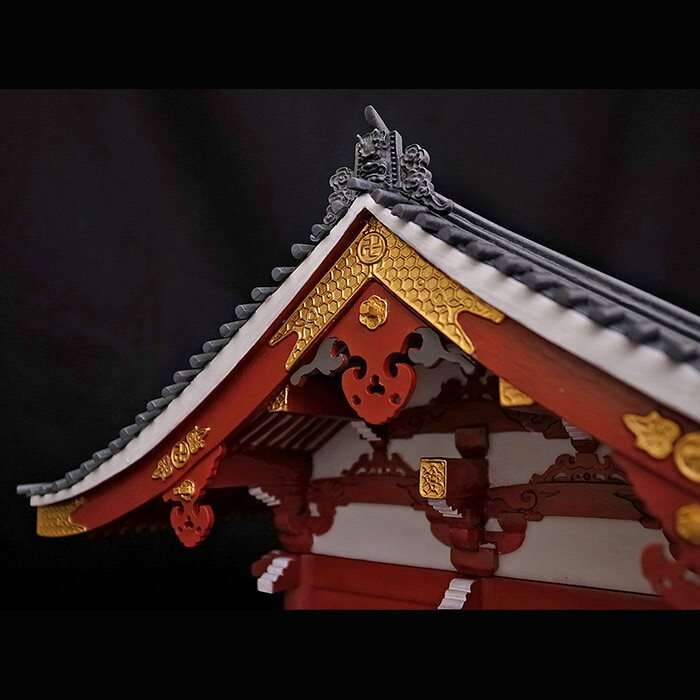 Unnou's products, including original armors, helmets, and Buddhist statues, reflect the best of Japanese art and are well- received all over the world. 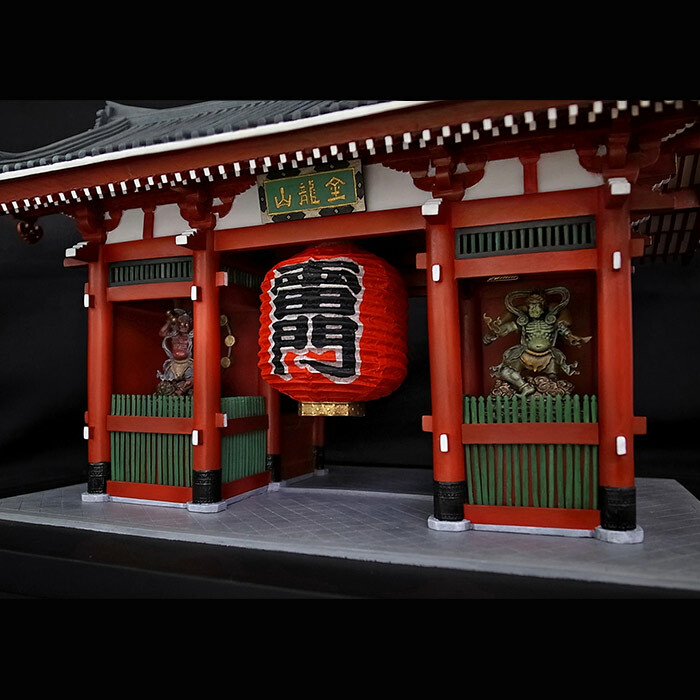 Under the watchful eye of artist and creative producer, Unno Souhaku, the ten or more artists working for KENSIN Kobo Studio, each expertly work on different product manufacturing tasks such as molding, assembly, finishing and painting. The final result is a product made of the highest quality. A: 1st Payment: 92,500 JPY + 3,700 JPY (4% of 92,500 JPY as a PayPal charge) in 7 days after the confirmation of pre-order. 2nd Payment: 92,500 JPY + 3,700 JPY (4% of 92,500 JPY as a PayPal charge) + Shipping & handling cost in 37 days after the confirmation of pre-order. Plan B: 1st Payment: 60,000 JPY + 2,400 JPY (4% of 60,000JPY as a PayPal charge) in 7 days after the confirmation of pre-order. 2nd Payment:60,000 JPY + 2,400 JPY (4% of 60,000JPY as a PayPal charge) in 37 days after the confirmation of pre-order. 3rd Payment: 65,000 JPY + 2,600 JPY (4% of 65,000JPY as a PayPal charge) + Shipping & handling cost in 67 days after the confirmation of pre-order. *Please kindly choose "Private Invoice" as a Payment method if you wish to pay via installment plan. Please kindly write "Plan A" or "Plan B" if you wish to pay via installment plan. Thank you very much for your kind understanding and cooperation. 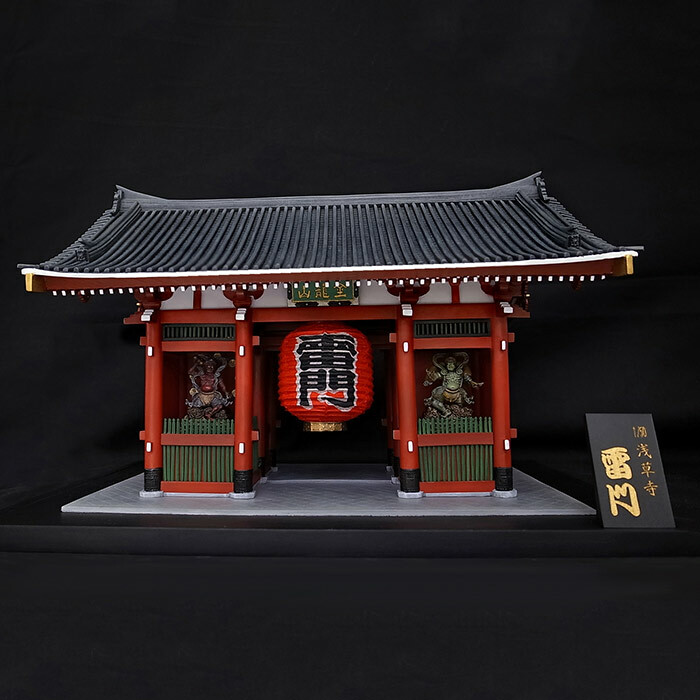 Nameplate "銘　浅草寺　雷門", comes with the special package. Limited Manufacture to 30 pcs only!! Please kindly understand that there is no refund, return or cancellations of the item.